Unless your new year’s resolution was to stay off of Netflix and social media (and you’re actually succeeding), you are probably familiar with the oh-so-charming Marie Kondo and her viral ways of tidying up. And even though the KonMari method already had its moment of fame years ago, the new Netflix show has us all tidying up like we’ve never tidied up before. Just in case you need a refresher, the KonMari method is basically examining each item you own and deciding whether that item sparks joy. If it does, you keep it and store it in an organized way. If it doesn’t, you get rid of it. Simple enough, right? If you’ve watched any of the episodes, you’ll know that her first category is “clothing” —and it’s a big one. She gets the show participants to start by piling every piece of clothing they own onto a bed and then sorting through them one by one. If you’re not going to keep an item, you must express gratitude for it, and then move on. One of the things I like about the show is that there really doesn’t seem to be an overarching feeling of judgment. One woman loved clothing so much that even though she seriously cut down her collection, she still had enough clothing to fill 3 closets. Most people, however, end up with a pared-down wardrobe filled only with their favourite items. This simplified wardrobe is what we’re interested in. The smaller and more thoughtful your closet is, the better your clothing items can be. 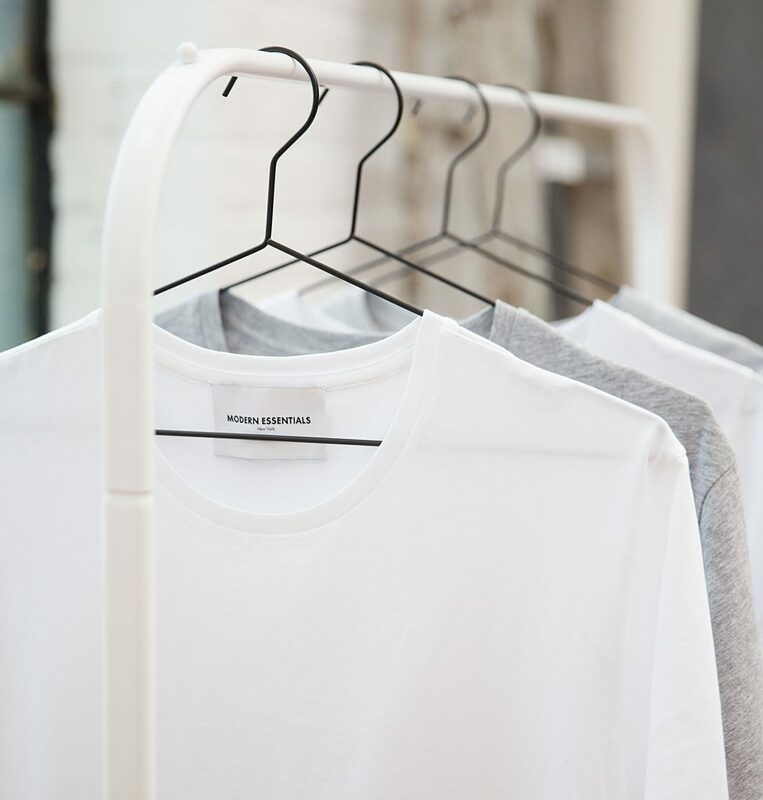 Just think about the five cheapest t-shirts you own. Take the cost of those combined and you’d have yourself one beautiful t-shirt. We know you don’t just have five, so repeat that exercise as many times as you need to and you’d likely end up with as many t-shirts as you actually need, but they would fit right, maintain their shape, and last longer. The same goes for your sweaters, jackets, pants, and even shoes. Getting rid of clutter is almost always on our minds in January (and then again in the spring, of course). There’s something so satisfying about heading into the new year free of mess and unnecessary belongings. When it comes to clothing, the key to a delightfully curated closet is always clothing care. Spending a little more on your key items is a worthwhile investment, but keeping that investment in tip-top shape is equally as important. Take the time to study your clothing care labels and ensure that you know how to care for each item. Some may need dry cleaning, which is where we come in! Some may be okay in a home machine, but might still benefit from a professional cleaning, so don’t be shy about bringing your clothing to a dry cleaner. Your items will last longer and you’ll feel even tidier with freshly laundered and pressed items to hang back in your closet (or fold upright in your drawers!). If 2019 is already proving to be busy, make sure you get familiar with Parkers’ dry cleaning pickup and delivery. We offer this service at no extra cost to our clients, taking care of at least one of your errands so you can watch another episode of Tidying Up.